Owens said to find specific places to put them. Ficus, mother-in-law tongue, bamboo palm and spider plants are all good if your house has a lot of light. 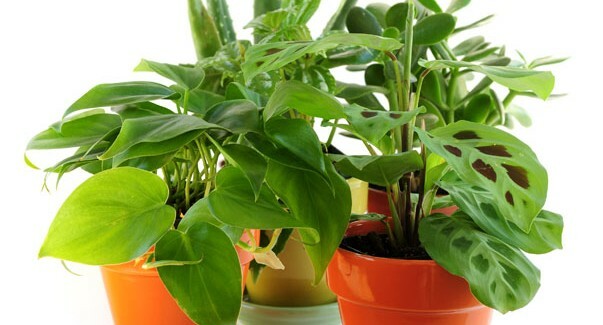 If your house has low- to medium-type light, try dracaenas, corn plants, vermelia or golden pothos. After choosing the plants, you’ve got to re-pot them. Owens said to select a lightweight pot that’s about one-third larger than the plant itself — this will give it plenty of room to grow — and be sure there are plenty of holes to drain the water. According to Owens, the biggest mistake people make is over-watering their plants. “One rule of thumb is making sure the top of the surface soil itself is dry,” he said. Most importantly, don’t forget to feed your plants. “You should fertilize at least once a month,” Owens said. Try mixing 1 tsp. of apple cider vinegar and peroxide with 1 gallon of water — or use Dave’s Extreme Juice to keep your plants healthy. Also, keeping chemicals (like pest control products and household cleaners) away from your plants will keep them alive longer. Posted on February 9, 2013 by The Garden Guy.